During pregnancy, increased oestrogen levels can leave you vulnerable to bad odours. A heightened sense of smell during pregnancy can be unpleasant, and may be adding to your nausea. This typically occurs during the first trimester, when hormones are in a stage of rapid increase. Not all women report a heightened sense of smell, though it is considered to be a common complaint of pregnancy. Cigarettes – some women report an aversion to the smell of cigarette smoke during pregnancy. In fact, some smokers are able to give up during pregnancy using willpower (and their heightened sense of smell) alone. If the smell of cigarettes is making you nauseous, ask people not to smoke around you. If your partner smokes, this is the perfect time to help him give up. After all, smoking around babies is not advised. Certain foods – fish, cheese, eggs and beans are some of the foods that can leave women running for the toilet. If you are suffering from a heightened sense of smell during pregnancy, you may find certain foods trigger your morning sickness. If a smell bothers you, try cutting that food out of your diet for a week before trying again. Rotten smells – some women find the odour of rubbish and compost particularly off-putting. I this is the case, make sure your compost bin is changed daily, and ask your partner to take on that role so that you don’t have to keep gagging your way to the bins. Laundry powder– the smell of laundry powder leaves some women feeling nauseous. The usually much-loved floral scents can suddenly become too much for fragile noses. Try switching to an odour-free laundry powder until your sense of smell returns to normal. Vaginal discharge – increased vaginal discharge coupled with a heightened sense of smell leaves some women paranoid that they smell very strongly of vaginal discharge during pregnancy. In fact, your scent is as strong as it normally is, just your sense of smell has increased. Just because you can smell it more clearly, doesn’t mean everyone else can, so don’t worry. It could very easily drive you to distraction, and sadly it’s not something you can cure. The best way to cope, is to avoid smells that make you feel nauseous during pregnancy. Ask friends not to smoke around you, politely ask colleagues to go easy on the perfume, and avoid foods that have strong scents. As your hormones settle down by the end of the first trimester, you may find that the aversions lessen. You may still have a heightened sense of smell, but probably won’t be left gagging by each passing odour. 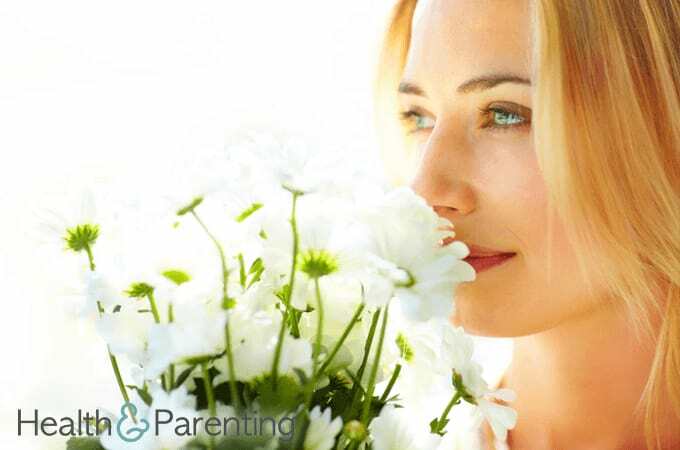 What smells are too much for your nose this pregnancy?